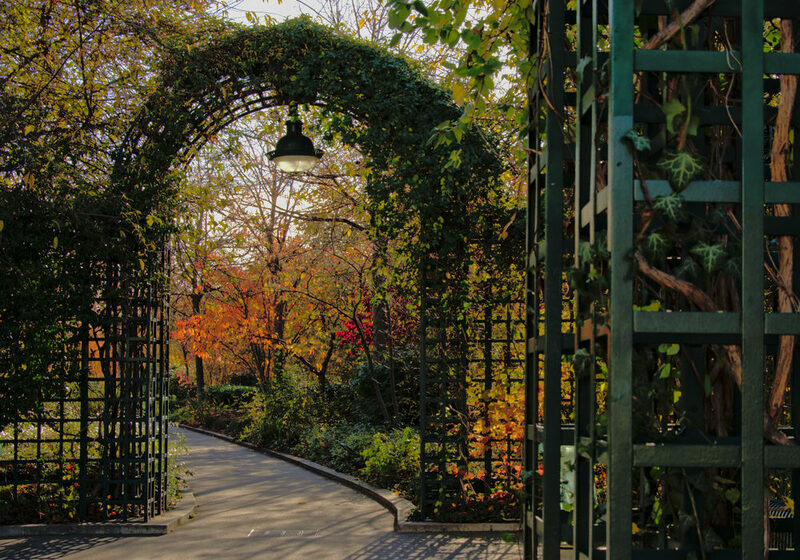 The René-Dumont coulée verte (French for green course) is an old Parisian railway line converted into an exotic linear park stroll through the capital. It’s an ideal stroll to get off the beaten track and discover another side of Paris. In 1969, the city of Paris decided to abandon the railway line which was the old Vincennes line linking Bastille to Vincennes. Part of it was integrated into Line A of the RER, while the rest of the line was abandoned. It wasn’t until the beginning of the 80s that the area started to be renovated. The creation of the René-Dumont coulée verte, also known as the promenade plantée (tree-lined walkway), began in 1988. It was inaugurated five years later, in 1993. It’s named in honour of agronomist René-Dumont. Where can the coulée verte be found in Paris? It begins at Place de la Bastille and ends at the Bois de Vincennes, Montempoivre gate. From the Opera Bastille, it’s found rue de Lyon after climbing the stairs leading to the viaduct des arts. However, it is possible to start the walk in various places since many stairs take you there all along the coulée verte. It is possible to bike ride along the eastern part of the beltway: on the second part of the coulée verte, you’ll find a cycling path. The tree-lined walkway extends over 4.5 km (2.7 miles). What is there to see along the coulée verte in Paris? The main interest of the walk is to enjoy the calm and greenery while strolling through the 12th arrondissement of Paris. Ideal for a family or romantic outing, the beltway crosses various interesting points, including gardens and tunnels. A good part of the course is located at about 7 meters from the streets, which is ideal to observe Paris from higher ground. As proof of its success, the Parisian beltway has been exported outside of our borders: in 2009, New York was inspired by the coulée verte to convert one of its railway tracks into a linear park called High Line Park. Get off the beaten path and discover Paris in a whole new light. At Aloha, our agents guide you through the City of Light to help you prepare a customized and unique stay. Go ahead, contact them!